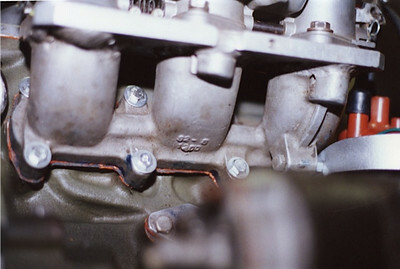 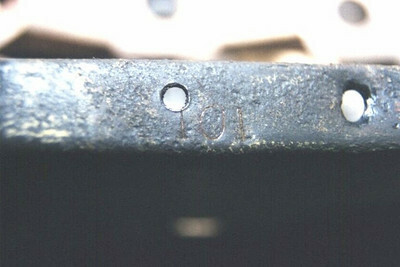 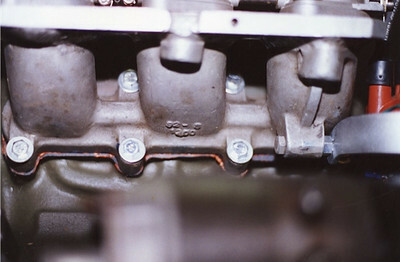 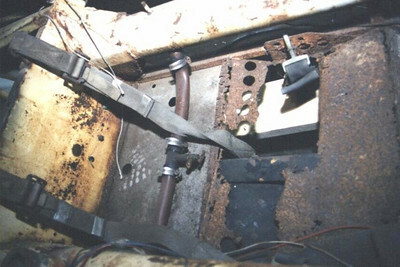 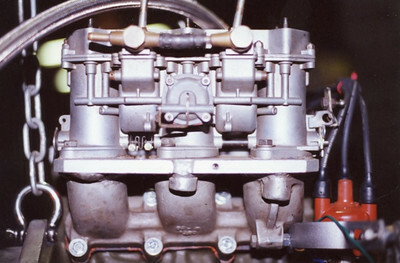 while difficult to see in this photo, there is a "4" displaced a little to the left of the hole and the "101". 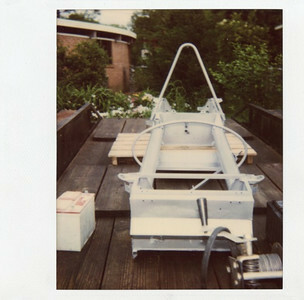 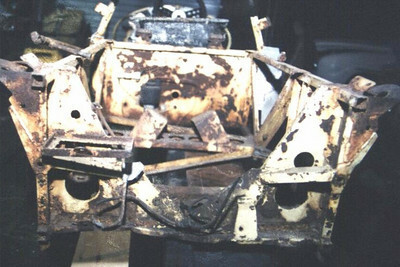 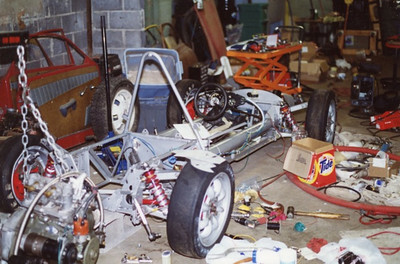 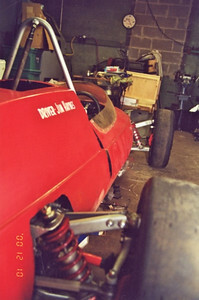 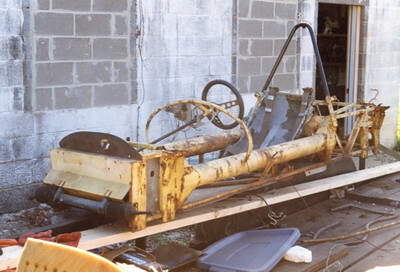 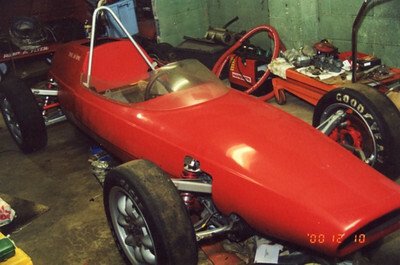 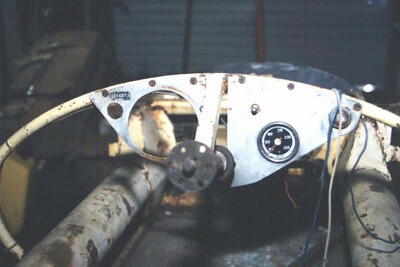 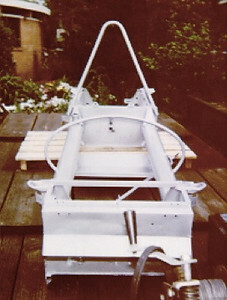 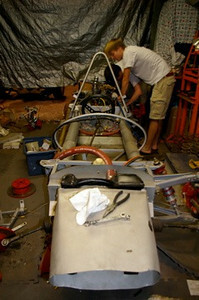 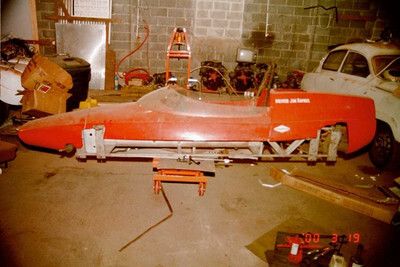 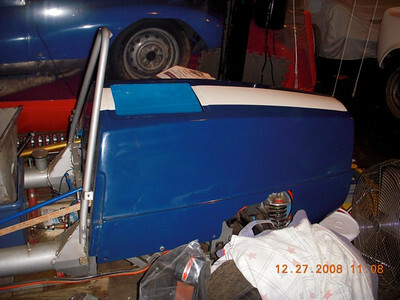 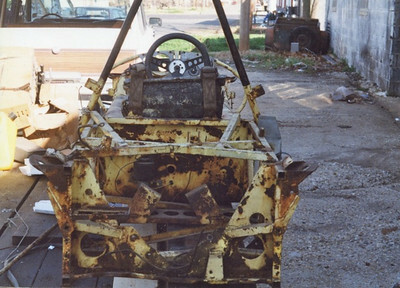 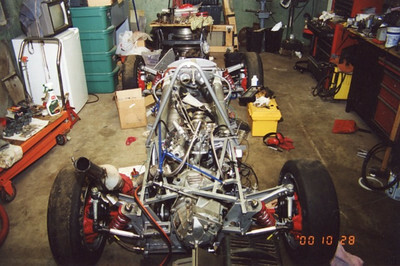 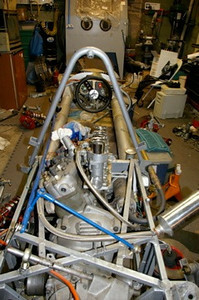 Original body on newly sandblasted chassis. 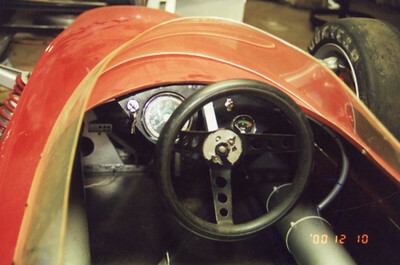 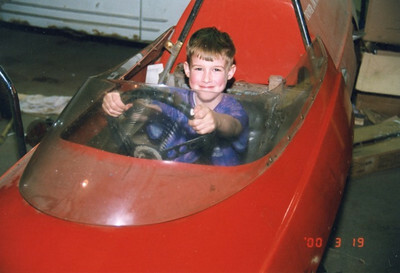 Date is March 2000. 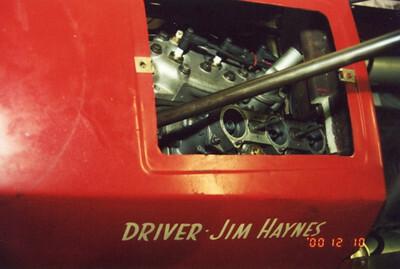 Lettering on engine cover reads "Driver Jim Haynes"